Get advice, answers, and information on our products and services. 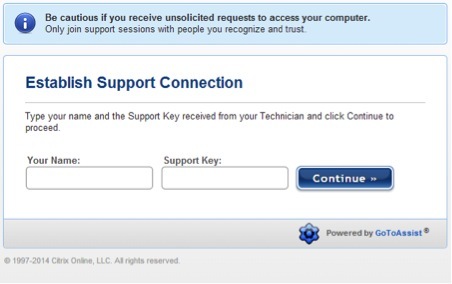 When attempting to resolve a fault it may, on certain occasions, be necessary for a Timico Technical Support Advisor to access your computer remotely. This will allow them to look at the way your computer is configured to work with various Timico services such as broadband, emails etc. and possibly, with your permission, adjust some settings. To do this we use a secure program called FastSupport. Fast Support is market leading, remote access software, powered by Citrix GoToAssist. This program uses high level security and is a completely safe way of Timico supporting you. You should however only join support sessions with people or organisations you recognise and trust and be cautious if you receive unsolicited requests to access your computer. 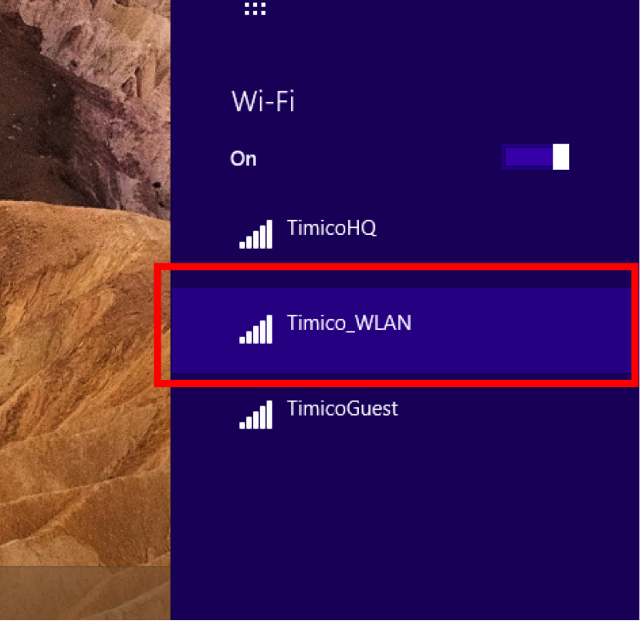 What will happen when Timico access my computer? Whilst using FastSupport, a Timico Technical Support Advisor will temporarily be able to take over some of the functions on your computer. This may involve taking control of your mouse and keyboard. We will always talk you through the steps we are performing and offer guidance. The support key - this a unique code that will be provided to you by the Timico Technical Advisor and will always be three sets of three numbers as shown in the example below. You will most likely then be promoted to run Java ™ (although this may depend on your operating system and browser). We recommend that you select ‘Run this time’. 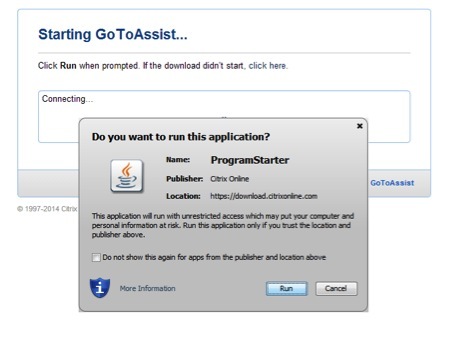 If your Java ™ is already up to date or once you have given permission to Java ™ to run, the ’Starting Go ToAssist’ download will start. There is a progress bar showing the status of the download. Once the progress bar reaches 100% the screen will change to show that the session is connecting. A pop up may appear asking if you want to ‘run this application’. Please click ‘Run’. Once selected a new progress bar will appear showing the status of the connection between our service and your PC. Please click ‘Run’ when prompted by your machine. Once the connection is established you can close the window (usually in the top right hand corner if using Windows or top left hand corner on a Mac). The final screen you should see indentifies the name of the Timico Technical Advisor that you are talking to. If this is not the case please do not accept the invitation. How do I terminate the session? How do I know a session is terminated? 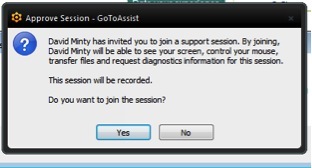 The following confirmation message will appear on your screen when the session is ended. Will Timico be able to access my computer after the session has ended? No. Whether you or the Timico Technical Advisor terminate the session, it cannot be re-established. If the connection is lost mid-session a new session will be have to be set up. A new support key will be provided by Timico and you will have to go through the process of accepting the connection again. Do I need to configure my handset? Timico provides pre-configured handsets for instant connection to Synergy. Your internal system administrator will advise if your handset is preconfigured or if it needs any local configuration prior to installation. He/she will also advise what network connection point you should use or if you are to connect directly into the local broadband router or a data switch. If you have purchased a pre-configured Synergy handset, all you need to do is plug this straight into your network point or broadband router as advised. As soon as the handset has powered on and downloaded its configuration files you will be able to begin making and receiving calls. If you have been advised that your IP Phone and PC will work off a single Ethernet network connection then connect the network cables. The cable from the network point, router or switch will connect to the LAN socket on the IP Phone. You will need a similar cable to connect from the PC socket on the phone to the network socket on your PC. Otherwise just the connection from the LAN socket is all that is required. If you haven't got a POE switch you can purchase a mains power adapter separately. Please contact Timico for assistance. I cannot make/receive calls from the handset – what should I do? The IP handsets need to communicate with the Synergy platform in order to retrieve the necessary configuration files for your account. If your handset is not connecting, there could be something on your network blocking the handset reaching us. 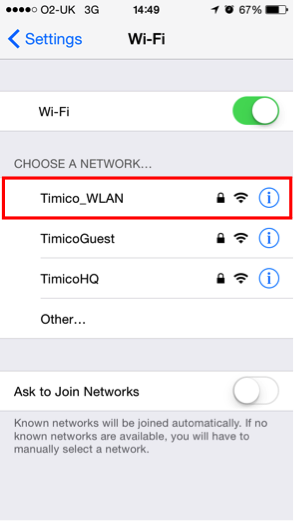 If your network has not been provided by Timico please refer to your network provider or IT administrator for support in the first instance. How do I set up a new Voicemail greeting? Once finished press the tick icon to save the greeting. Follow the instructions to change your greeting. 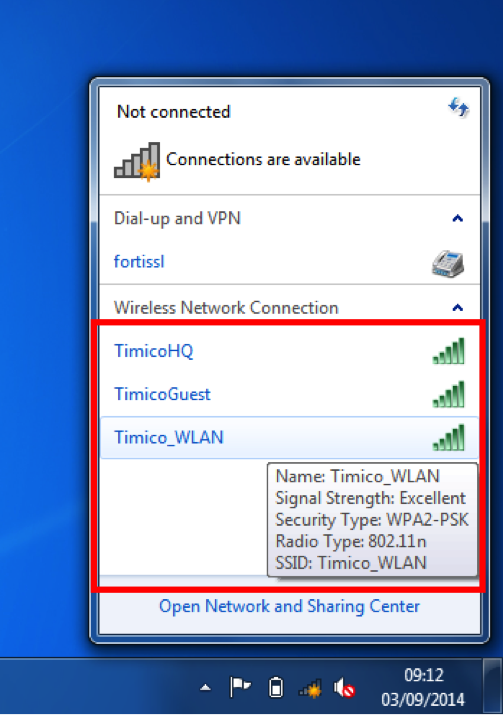 How can I set up broadband usage alerts with Timico? You can be notified by email and/or twitter if you are close to, or exceeding, your broadband usage allowance with our, free-of-charge usage alert service. To set this up, just login to your MyTimico portal account and choose the alert level and how you receive them. If you’ve not yet created a MyTimico account, sign up now. You can also track the amount of broadband you are using on the MyTimicocustomer portal. 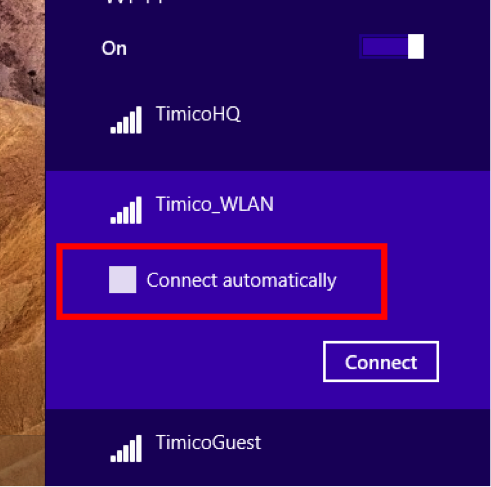 This will allow you to test the performance of your Timico internet connection. If you need assistance with the results that are displayed please contact Network Operations on 0844 488 9889. Before starting the test please ensure you are not downloading any other files, using any internet voice applications or running any other programs on your machine apart from your internet browser. The speed test tool will only show you the free bandwidth available at the time of running the test. If there are other computers also using your internet connection this will affect the results of the test. All test results are logged, along with the IP address they are run from, the time and the date. What happens when I exceed my monthly usage allowance? If go over your monthly broadband usage allowance you will be charged for the extra data used. These charges will appear on your next bill. Did you know that you can monitor your monthly usage through your account on the MyTimico customer portal? This data is updated every night. Timico do not carry over data allowances and all data is reset at midnight of the last day of each month. A virus or malware - in the unlikely event that a virus is installed on your device or router then you may see a significant increase in data usage. As a general rule, it’s a good idea to change your router password from the default one and to use anti-virus software. Unprotected WiFi - If your WiFi connection is not password protected, or the password is weak, an unauthorised user could be accessing your connection. We do not track (and have no facility to track) where you are downloading from or to - so we can't help you work out what usage has been used for but you can track the amount you are using on the MyTimico customer portal. Not online but still seeing high usage? All routers will send and receive tiny amounts of data even when all devices are disconnected. This ensures that the router maintains the strongest connection possible. It is un-wise to switch your router off as this may generate errors and cause the broadband to run more slowly than possible. There are instances when people report high broadband usage when offline and this can be attributed to devices backing up or restoring such as Apple iPhones, iPads etc. Sky boxes updating or scheduled backups such as Sony PlayStation etc. If you have any queries please contact the Timico Technical Support team. What can I do if I go over my usage allowance? If you think you may be at risk of exceeding your broadband data allowance or if you have already gone over, please contact us and we will be able to advise you of your options. When does my broadband usage allowance start/reset? Your broadband usage starts on the first day of the month and all data is reset at midnight of the last day of each month. Timico do not carry over data allowances. You can keep track of your monthly usage through your account on the MyTimico customer portal. This data is updated every night. To get started on the Timico Cloud Portal you will need to be connected to the Internet and have access to your portal log in details. If you do not have these details to hand please contact your internal system administrator in the first instance. The preferred browser for the Cloud Portal is Mozilla Firefox but Google Chrome also provides a good user experience. How do I access the Cloud Portal? In order to access your Cloud Portal, please visit timicopartnerstore.timicocloud.co.uk and enter your username and password. If you have forgotten your password, please click on the ‘Forgot My Password’ link and a new one will be issued to you by email. How do I add new users to the Cloud Portal? Enter the details of the new user in the fields and choose the correct role for them. Once completed, click ‘Create’ to finish setting up the user. If you have forgotten your password and cannot log into the Cloud Portal, please click on the Forgot My Password link on the sign in page and a new one will be issued to you by email. If you would like to change your password once logged into the portal, this can be actioned by clicking on your name in the top right hand corner of the screen and My Profile to open your user profile. You will be presented with the option to change your password. In order to update the settings associated with your user profile, click on your name in the top right hand corner of the screen and go to My Profile. In this section you will be presented with the option to change your Profile detail, shipping address & notifications. Profile This area can be used to change any details associated to you including your username and password. Shipping address This is only relevant to any products that require physical shipment. Currently there are no products set up in the portal that require physical shipment so can be left blank. Notifications Here you can see any notifications that have been sent to you from the portal. Clicking on the Details button shows you the exact content of each notification that has been sent. Please note that changing your details in the Cloud portal does not change them in any other Timico system. Your balance will be shown in the top right hand corner of the portal at all times to enable you to see the charges that have accrued over the month. This balance is not payable through the portal as all charges will be added to your standard monthly invoice from Timico. This will be charged monthly, in arrears. If you have appropriate access levels, you can change the detail associated to your account by going to Organization>Account Details. We request that once the Cloud Portal has been handed over that you do notchange the Company Name as this will connect to your monthly billing. Please enter the email addresses of the contacts that you wish to receive each type of notification that the portal generates. What is an XaaS product? With the exception of the Virtual Data Centre product, the additional products built into the system are considered to be XaaS products. These products have a 2 working day SLA for delivery whereas the Virtual Data Centre product will be set up as soon as you order your services and checkout. How do I produce a quote? Quotes can be produced through the ‘Add Service’ menu. Once in this section, you can add the products that you wish to have a quote for into your cart. Once items are selected to go into your cart, the option to produce a quote is given to you at the bottom of the ‘Order Summary’ page. Email as Quote: Selecting this option will send a link within an email to your recipient which they can click on to see the items within your shopping cart. The email will be received from cloudportal@timico.co.uk. Export as PDF: Quotes can be converted into PDF. This is non-customisable and contains a breakdown of the products that are within your shopping cart which you can send or save as PDF. How do I know if there are items in my cart? The cart option in the main menu will only be visible if there are items saved in the cart. To view or remove these items click on the cart icon. How do I view my order and activity history? Both the order and activity history can be viewed through the Organization section of the portal. To see the full details of an Order click on the Details button to open them up. Usage can be viewed through the Billing option in the main menu. A summary of your usage will be presented showing the month and the invoice total for your portal services. The charges for these services will be added to your standard monthly invoice from Timico. This will be charged monthly, in arrears. You will not be asked to pay any invoices through the cloud portal. By clicking on the details against each month shows the number of units that are chargeable in that period. Each service is listed separately. Clicking on ‘Full Details’ opens up a summary of the services consumed throughout the month. The breakdown shows items across multiple tabs dependent on their billing period. You can click through the menu to look at the various charges and expand an entry to view the details. How do I view notifications? Pending notifications can be viewed by clicking on the ringing bell icon in the top right hand corner of the screen. You will be notified of any new notifications when a red number pops up, click on this to open up the notification message. Recent notifications can also be viewed by going to Organization>Recent Notifications. The content of the notification can be viewed by clicking on the details button against each one. A vApp is a virtual application that allows you to create a logical container for your virtual resources. It can contain virtual machines, networks and networking rules. vApps can be controlled at the vApp level and can be powered on or off in one action. A Virtual Machine is an emulation of a computer and provides the functionality of a physical computer but is accessed via software. A VM has an installed operating system and may have installed applications. A vApp template is an image of a vApp which contains one or more VM images and one or more vApp networks. A new vApp can be deployed through the Cloud Portal once you are within the Virtual Data Centre you wish to deploy the vApp in by clicking the ‘+Deploy vApp’ button. A number of options will be presented to you, as below. If you require an empty vApp this is also an option. Once the option you want has been selected you can make changes to the predefined template if you wish but note that the sizing provided within the vApp has been chosen to suit the Operating System it requires. Please ensure that you choose a hostname as you won’t be able deploy the vApp without it. Once you have made any changes you require, click ‘Deploy’ to set up the vApp. Before you deploy the vApp, you will be presented with the associated costs and if you accept these please click submit to begin the process. The ‘Deploy vApp’ cog will appear in the top right hand corner of the page when the build is in process. Once completed you will see the vApp is available in your VDC. How do I create a new Virtual Machine (VM)? Once you have created a vApp, you can deploy additional VMs in it. From the vApp, there is a menu containing options for making changes to and monitoring your vApp. The last item on the menu is ‘Deploy VM’. You can choose for the VM source to be from your existing vApps or from the vApp templates that are available. Once you have chosen the VM you wish to create. If you do not have enough resources, an alert will come up to advise you of this. You can go into your Virtual Data Centre and add more resources to accommodate the new VM. If you do have enough resources to create the VM, you will be shown an overview of the size of the machine and presented with the ability to name the VM and give it a Hostname. These fields must be completed for the VM to be created otherwise it will fail and you will be given the following error message. How do I reconfigure the size of my VMs? Once a VM is up and running, you may wish to change the size of it. From within the VM there is a menu containing options for making changes to it. 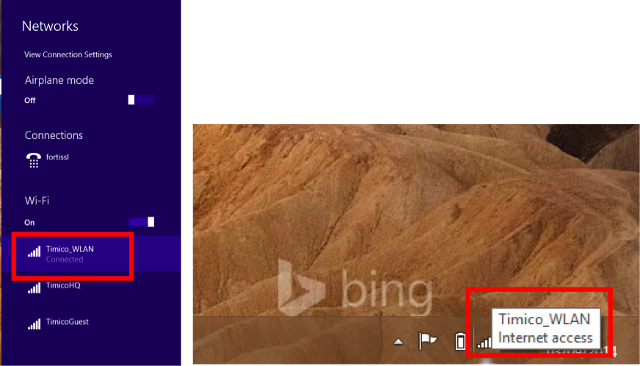 By clicking reconfigure you can change the size of the VM. You are now in the VM configuration page and can choose to hot reconfigure the size of the VM if you wish by changing the amount of CPU, RAM and storage assigned to it and clicking the green reconfigure button. This will reconfigure the VM without it needing to be powered down. If you do not wish to allow the VM to hot reconfigure, you can untick the ‘Hot Reconfigure’ button and click the green ‘Reconfigure’ button once you have made your changes. Click continue to proceed and the reconfiguration will begin by firstly powering down the VM. During this change the ‘Reconfigure VM’ cog will appear in the top right hand corner of the page. Once completed you will see the additional resource in your VM. How do I clone a vApp? Go to the vApp by running through the My Cloud menu, clicking into the physical Data Centre and the Virtual Data Centre that the vApp you want to clone is within. To clone the vApp simply click the ‘Clone’ option in the menu that has been presented. A warning will pop up to advise that in order to clone the vApp, it must be restarted. Click continue if you wish to proceed. If you do not have enough resources to clone the vApp, you will be advised and can try again once you have added to resources required or freed some existing resources up. If you have the resources available the vApp will begin to clone and the ‘Clone vApp’ cog will be presented to you in the top right hand corner of your screen. Once completed the new cloned vApp will be available within your VDC and will be in a powered off state as shown below. How do I create a vApp snapshot and revert the vApp back to the snapshot state? Go to the vApp by running through the My Cloud menu, clicking into the data centre and the Virtual Data Centre that the vApp you want to clone is within. To clone the vApp, go to the ‘Snapshots’ option in the menu that has been presented. To create a new snapshot, click the green ‘Create Snapshot’ button. You will be asked to name the snapshot. Once you have done this, click ‘Take Snapshot’. A warning will pop-up to advise that by taking the new snapshot, any current snapshots will be deleted as a maximum of one snapshot per vApp is allocated. Click continue to proceed. Provided that you have enough resources available, the snapshot will start to be created and the ‘Create vApp Snapshot’ cog will be presented to you in the top right hand corner of the screen. Once complete, you will see the snapshot is now available. To revert the vApp back, click revert. A warning will pop up to advise that you are reverting that vApp to its previous state held within the snapshot. Click continue to proceed. The cog will be presented to you in the top right hand corner of the screen to advise that vApp is reverting. Once completed the ‘Revert vApp to Snapshot’ cog will clear. How do I change the name of a vApp or VM? To change the name of a vApp, go to the vApp and underneath the current name there is a rename vApp button. The ‘Modify vApp’ cog will appear in the top right hand corner of the page once you have clicked to continue. Once completed, you will see the new name presented. How do I monitor VM metrics? To view the VM metrics, go to the ‘Metrics’ option presented to you within the menu that has been presented. If there is more than one VM in the vApp, you can select the VM metrics to review from the dropdown menu. A reading is taken approximately every 18 minutes and presented in each of the graphs which present to you the total percentage consumed of each of the metrics presented: CPU Core Usage, CPU Speed Usage, Memory usage, Disk Read & Disk Write. How do I access the console of a VM? The VM is presented at the bottom of the screen and from this view you can see a number of different VM buttons. To access the console, click the screen icon. Once you have clicked on this icon, the console will open up in a separate browser window. How do I mount media to a VM? Go to the vApp that contains the VM that you wish to mount the media onto. Click ‘Mount ISO…’ in the menu. A number of options will be presented to you, please select the ISO image that you require and click ‘Mount’. Once selected the ‘Mounting ISO’ cog will appear in the top right hand corner of the page to show that it is being mounted. How do I upgrade my Firewall? As standard, each Virtual Data Centre will be set up with a standard Edge Gateway. If you require a second firewall for high availability, you will need to purchase the HA Firewall Upgrade product in the ‘Add Service’ menu. How do I manage my Firewall? Go to the VDC you wish to manage through the ‘My Cloud’ menu. To manage the firewall settings, go to the Firewall option in the menu that you have been presented with and you will be taken through to the Firewall Management screen. The first window shows an overview of the firewall. IPSec tunnels can be viewed, added or edited from here. To create a new IPSec tunnel, click on the green ‘IPsec VPN’ button. From here you can complete all of the information to set up a new tunnel. Name: The name of the tunnel. This is an arbitrary name. Local Address: The address on the firewall to make the connection from. Local Subnet: The local subnet(s) being connected. The subnet used here cannot be the same as the peer subnet. Peer Address: The remote address that the firewall connects to on the other end. Peer Subnet: The subnet(s) being connected. The subnet used here cannot be the same as the local subnet. Pre-Shared Key: The pre-shared key used to connect. The key must be a minimum of 32 characters and must include at least one number, capital letter and lower case letter. Maximum Transition Unit (MTU): Default is 1500. Encryption: The encryption type used. Must match on both sides. Choices are AES, AES256 and 3DES. Authentication: The authentication method used for the connection. PSK: Pre Shared Key. This is a secret key used by both sites to authenticate the connection. This is entered in the Pre-shared Key box above. Once completed click the green Add button to create the tunnel. Select the ‘Firewall Rules’ tab from the firewall management screen to create rules. By default all traffic is denied by the firewall. Firewall rules must be created to allow traffic from one interface to the next. Depending on how the rules are created at least two are required to allow access to a service and DNAT rule. As an example a rule to allow port 80 access can be created in three possible ways. DNAT Rule - for Port 80 on Internal IP used above. This method requires two firewall and one DNAT rule for any inbound service added to the firewall. DNAT Rule - Port 80 on Internal IP used above. This method requires one firewall rule to direct all traffic inbound to the external interface, and a second rule to route specific traffic. After the first rule is created, only rules created to route specific traffic from the External IP address to the Internal IP address are required. A DNAT rule is required for each service. If a second external IP address is added to the firewall it requires the same type of rule as the first one. Rule 1 - Any IP on Any Port to External IP on Any Port. DNAT Rule - Port 80 on the Internal IP used above. Using this final method only two firewall rules are created and use DNAT rules for directing traffic. If additional external IP addresses are added to the firewall they require two additional rules as well. For inbound traffic, a rule needs to be created to allow traffic from the internal IP or subnet out to the external IP. For the internal it can be a specific IP such as 10.0.0.2 or an entire subnet 10.0.0.0/24. An SNAT rule has to be created as well. To add a firewall rule click the ‘+ Firewall Rule’ button. Source Network: The interface the traffic originates from. Source Address: The IP address the traffic originates from. Destination Network: The interface the traffic is being directed to. Destination Address: The IP address the traffic is being directed to. Service: The service the traffic is trying to reach. Action: Allow or deny the traffic. Status: If the rule is active or not. Once all of the fields have been filled out click ‘Add’ to add the rule. Once all changes are made the rules must be published, which sends them to the Edge device. When rules are added or modified a ‘Publish’ button appears. When you are ready, click ‘Publish’ to set up the rules on the firewall. NAT rules are added in a similar fashion to firewall rules. There are two types of NAT rules available. DNAT rules which route traffic from an external IP to an internal IP and SNAT rules that route traffic from an internal IP to an external IP. To add a NAT rule click the green ‘+NAT Rule’ button. When done click the green ‘Add’ button. As with firewall rules any new NAT rules, or changes to existing ones have to be published. How do I add an organization network? Go to the vApp you wish to manage through the ‘My Cloud’ menu. Click the option to ‘Deploy network’. After choosing the parameters for the network, click ‘Add Network’ to have the network created. Once created it is available for use under the vApp network menu. How do I purchase an international inbound number? Can I purchase it as a standalone service? International Inbound Numbers must be purchased as an add-on to one of Timico’s Unified Communication services- Synergy Hosted VoIP or Timico SIP Trunks. These numbers can be purchased at any point within your contract period, and will be available throughout the remaining duration of the contract. To find out more, contact your account manager, or visit the Sales Support page to get in touch with a sales advisor. Do inbound callers get charged anything for calling my international number? The call charges incurred will depend on the type of international number you have. If you have Freephone, the inbound caller will not be charged, however, they will have varying charges for calling a Shared-cost, Special, Geographic or Non-geographic number. To learn more about the charges your international number incurs, please contact your account manager. When I try to call my number, it doesn’t work, does this mean no one else can call it? Not necessarily. Some numbers come with restrictions, one of these restrictions may be that your number cannot be reached from other countries except its own. For example, if you have purchased a number for Argentina, you may not be able to call it from other countries than Argentina. To find out about any restrictions connected to your number, please contact your account manager. Yes, you can port certain international numbers both to and from Timico. To find out more about your options for number porting, please contact your account manager. 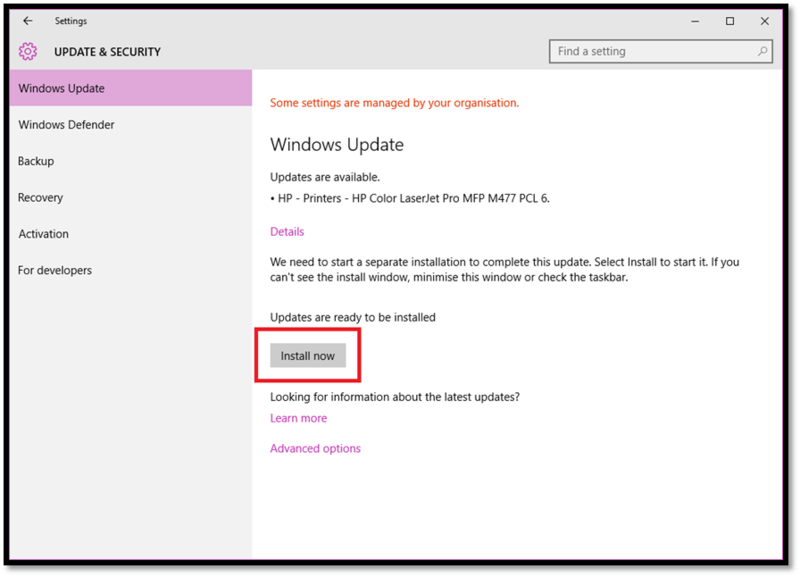 4) If your computer requires updates you will get an “Install now” option (shown below). 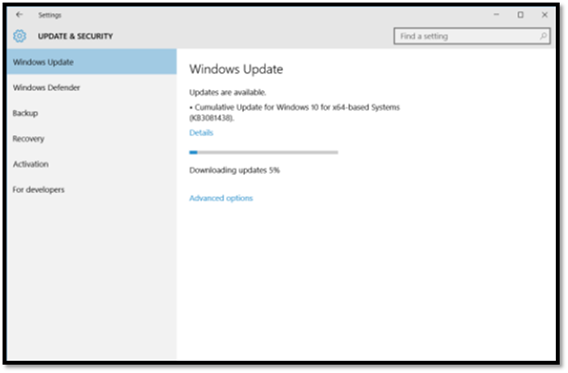 Click on this button and allow the updates to install. 5. 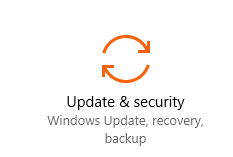 Once these updates have completely installed your computer will need to be Restarted (unless otherwise noted on the screen). 6. 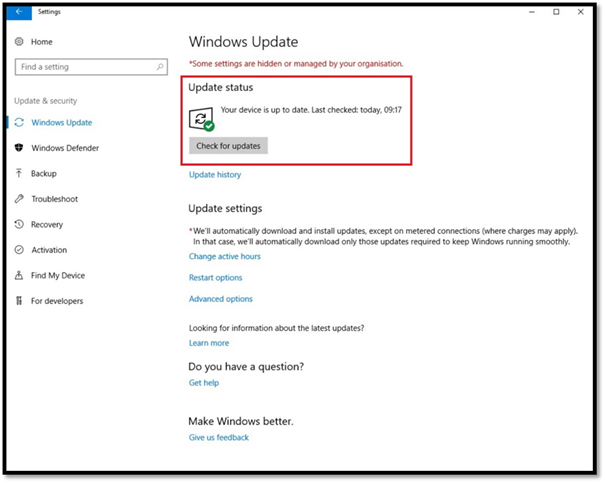 If your computer is already up to date with the latest Windows updates then it will say “Your device is up to date” (shown below). We recommend that if you wish to transfer these services to another provider that you follow the guidance provided. A. If you do not know your password, please email support@timico.co.uk to request that it is provided. Q. I want to transfer my web files using FTP. How is this done? A. We recommend that you use the Filezilla FTP client. Full instructions on how to use this client can be found here. Q. I would like to transfer my web files, but I wish to use the File Manager within the PowerHost Control Panel rather than FileZilla. How is this done? A. If you prefer to use the File Manager, full instructions can be found here. Q. I use WordPress. How do I export my MySQL database? A. If you are using WordPress on PowerHost, you can export it using PHP MyAdmin which is accessible through the PowerHost Control Panel. Q. I have an SSL certificate applied to my site and I would like to move it to the new server. What do I need to do with this? A. If your SSL certificate is with another provider, please contact them to assist with the move. If your certificate is with Timico, please contact support@timico.co.uk. Q. If I don’t move my services, what will happen? A. If you choose not to move any affected services, they will cease to operate and any data will be securely destroyed. Q. I want to backup and export my emails. How is this done? A. We recommend that you back up your emails to your chosen email client. If you are using POP3, all emails should already be stored on your device. However, we would recommend that to ensure that there is no loss of email that you perform an up to date ‘Send/Receive All Folders’ and use you email client to export and backup. Instructions to do this for the most popular email clients are below. If you are using a different email client, please contact the email software provider for instructions. Q. I currently have an SMTP forward/email filtering set up. What do I need to do? A. If you wish to retain an email filtering service, we would recommend that you choose another provider. If you no longer wish to have email filtering, please request that your MX records are updated. Q. I would like to transfer my domain away from Timico. How do I do this? A. Unless otherwise advised, your domain will remain with Timico until it is due to expire, at which point it will be allowed to expire. If you wish to transfer your domain to another provider, please send your transfer request to service@timico.co.uk. Q. Does the PowerHost EOL affect my domains and DNS?? A. We strongly recommend that any domains that you have registered with Timico are transferred to your new chosen web hosting provider during the migration to ensure that they can manage future renewals and DNS accordingly to ensure that your new website and mailboxes are not disrupted. For any domains that remain with Timico post-migration of your hosting, you will need to ensure that the DNS records are amended prior to the PowerHost EOL date so that they point to your new providers name servers. Please be advised that these changes can take up to 48 hours to complete so please ensure that you allow for this. PLEASE ENSURE THAT YOU MAKE ARRANGEMENTS FOR ANY DOMAINS THAT YOU WISH TO KEEP ARE TRANSFERRED TO YOUR NEW PROVIDER AHEAD OF THEIR EXPIRY DATE. DNS changes for domains registered with Timico can be updated through My Timico in the Domain Management section. Timico VoIP for iPhone and Timico VoIP for Android are both available to download free of charge from the Apple App Store and from the Google Play Store. Provided you are subscribed to the correct VoIP package, you will be able to log in using your VoIP username and password. I cannot log into the Timico VoIP for iPhone app? Access to Timico VoIP for iPhone is only available to users who have subscribed for the additional multimedia features of Timico VoIP. Please check with your account manager that your VoIP subscription includes this feature. If you know that your VoIP subscription includes the iPhone app and you still cannot log in, please check that you have activated your licence.. If you are still experiencing problems, please contact Technical Support. I am not able to make calls from my iPhone app? 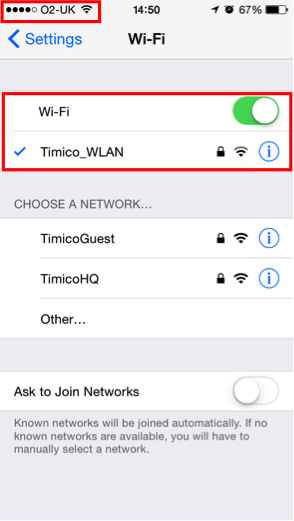 Timico VoIP calls can be made over Wi-Fi and 3G/4G, however by default the ability to make calls over 3G/4G is disabled to give individual users the choice over whether they want to allow this depending on their own data packages. In the app, go to Settings and Preferences. To allow the app to use the mobile data network select Use When Available to On. This just allows Presence and Instant Messaging to work over 3G/4G, but to allow voice calls to be made also, the Allow VoIP Calls needs to be On too. 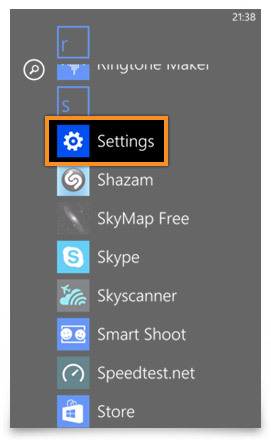 In Settings > Preferences you need to make sure Run In Background is set to On to allow services to still be received even when you do not have the app open. Also, check that the notifications are enabled on the iPhone. 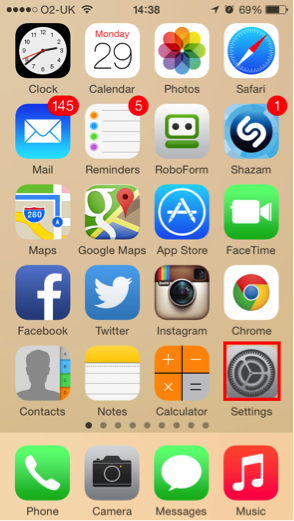 From your main iPhone settings go to Notifications ensure that either Banner or Alert is selected. Each time I answer a call I have to enter my PIN to unlock the screen? 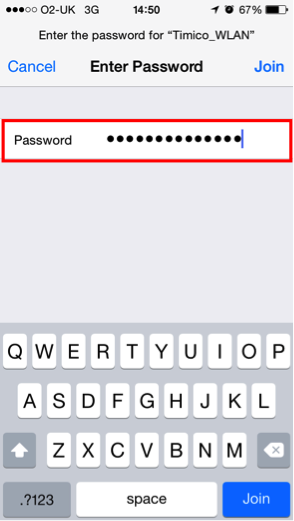 This is a restriction of using the app on an iPhone and cannot be prevented because of Apple limitations, however it is important that you leave the PIN code enabled, otherwise should someone else gain access to your phone then they will be able to make calls from your company phone system, potentially to anywhere in the world. Go to Settings > Notifications, find the reference to Timico VoIP, and set the alert style to Alerts as opposed to Banners. I cannot see any Presence information; there are no contacts in the Friends list? There are three address books within the app, the first is a synchronised list of your iPhone contacts so that you have the ability to call these over VoIP if you wish. The second is your ‘Friends’ list which displays the contacts whose availability you have chosen to show. If you have not previously been a PC Client user, then you may not have already set up contacts as ‘Friends’ therefore you won’t see anything in here the first time you access it. See the product user guides to find out how to set up Friends. This can be done via the app, the PC Client or the Personal Agent – but all will then synchronise. The final tab of contacts available to view is from the Global Address Book. This is a search feature allowing you to find the contact details of other users on the same system. Where are call recordings saved? Plug your iPhone in to your PC and open iTunes. Find Timico VoIP listed within Apps and your recordings will be listed in the Documents window. Record the log number and contact your next level of support. Click Yes to send the log. I cannot log into the Timico VoIP for Android application? This application is only available to users who have subscribed for the additional multimedia features of Timico VoIP. Please check with your account manager that your VoIP subscription includes this feature. I am not able to make calls from my Android app? 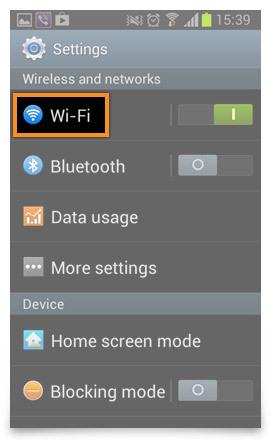 If you are not connected to Wi-Fi and so want to make a call using your mobile data, then in the app, go to Settings and Accounts. Select your Timico account. To allow the app to use the mobile data network ensure that ‘Use When Available’ is selected under the ‘Mobile Data Network’ heading. In Settings > Preferences you need to make sure Keep Wi-Fi Radio Awakeis selected to allow services to still be received even when you do not have the app open. Also, check that within these Preferences Play Ringtone and/or Vibrate are selected to ensure you don’t miss an incoming call. This is a restriction of the app on certain Android devices, however it is important that you leave the PIN code enabled, otherwise should someone else gain access to your phone then they will be able to make calls from your company phone system, potentially to anywhere in the world. It’s not always clear I’m receiving an incoming call on my Android. 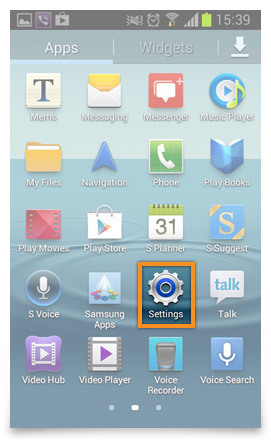 This is a restriction of the app on certain Android devices. Certain Android devices do need to be unlocked to see who is calling and to be able to Answer/Decline the incoming call. There are three address books within the app, the first is a synchronised list of your mobile contacts so that you have the ability to call these over VoIP if you wish. The second is your ‘Friends’ list which displays the contacts whose availability you have chosen to show. If you have not previously been a PC Client user, then you may not have already set up contacts as ‘Friends’ therefore you won’t see anything in here the first time you access it. How do I send you a diagnostic log? By now you should have also received your pre-configured Timico VoIP handset. All you need to do is to plug this straight into your network or broadband router. The handset has already been set-up by our engineers, and so as soon as the handset has started up, you will be able to begin making and receiving calls. The PC Client can be downloaded from within your Personal Agent. Log-in with your VoIP username and password and then click 'Download PC Client' from the top right hand side of the portal. If you plan on using the PC Client linked with one of our recommended handsets, you will also find instructions in the guide showing you how to do this. Otherwise, this can be used with a USB or PC headset. We always recommend using a Timico pre-configured handset, but if it is required that you use an existing IP phone, this will need to be configured with our platform settings in order for the phone to connect to your VoIP service. Each handset will have a different way of entering this information, so please refer to your hardware manual for details of how to do this. To access your voicemail from your handset dial 121, or alternatively you may have also been given an external dial-in number. Once connected, enter your mailbox number followed by the hash key. The first time you use your voicemail box, you will be prompted to create your own voicemail PIN. As part of this process we have provided you with a default PIN to use initially. The Personal Agent allows you to manage your individual VoIP users via a web portal, including the management of your passwords, contact details and address books, as well as giving you the ability to manage how your inbound calls are routed. As part of the process for setting up your VoIP accounts, we have used randomly generated default PINs and Passwords to get you started. It is your responsibility to regularly change these and ensure they are unique in order to maintain a secure VoIP system. One of the great features of VoIP is that you can use your phone service practically anywhere with an internet connection, and you can also choose the area code which you present to your callers independent to where you are located. However, this can also cause potential problems if you were to ever need to contact the emergency services for any reason. If you were to call from a traditional fixed line, the telephone number can be picked up by the emergency services team. With VoIP, because you can move locations you may not necessarily be at the address registered to the service, or even located at the same area code that the 999 call is being dialled from. Therefore, we have added your address to our emergency services register which will mean that on making a 999 call the emergency services will also have a default location. This will also ensure that the call is flagged as being a VoIP call so that the emergency services operator will ask the caller to confirm their current location. If you have provided us with a specific 999 address then it will be this that has been added to the register, otherwise we will have inputted your main site address. This can be changed at any time by raising the request through our Customer Services or Technical Support teams. Should you experience any difficulties whilst setting up your VoIP accounts we have our own in house team of technical specialists on hand to help. All VoIP Cortex users use the system differently, but the main features stay the same. This guide will cover various elements of functionality that may not be applicable to everyone, however for the purpose of this guide will be included. As a user, you will normally have been provided with either a physical phone, or a PC-based soft-phone which works in conjunction with your PC. If you have requested access to the user web interface (for managing your address book, accessing recordings and setting speed dials) or to the Open Communications Manager (for controlling calls through your PC), then you should also have been given a username, password and URL to access your own personal user area of the phone system. To access your voicemail simply press the mail icon/soft key on your handset, if applicable, or dial the number provided to you by the administrator. 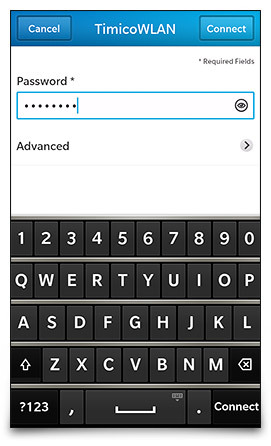 You will then be prompted to enter your PIN, followed by the hash (#) key to gain access to your account. Your administrator should have informed you of your initial voicemail PIN which will be required to access your voicemail account. If you do not have this, you may obtain it from the ‘my phone’ area of your user login on the web interface. Your voicemail PIN should be changed to a secure code that you can remember. This can be done from the web interface, or using a phone keypad. On entry, you will be told how many messages you have and you’ll be given a range of menu options to follow. *0<ext> Connect directly to voicemail for <ext>, doesn’t ring the phone. **2 Hot desk. Release this phone. One of the great features of using VoIP is that you can use your phone service practically anywhere with an internet connection, and you can also choose the area code which you present to your callers independent to where you are located. Therefore, we will add your address to our emergency services register which will mean that on making a 999 call the emergency services will also have a default location. This will also ensure that the call is flagged as being a VoIP call so that the emergency services operator will ask the caller to confirm their current location. The VoIP Cortex and most system phones require power from a wall socket to operate. Unless alternative arrangements are made, the phone system will cease to operate in the event of a power interruption and you will not be able to make or receive telephone calls of any kind. This may have important personal safety implications depending on how the system is used and the availability of alternative means of summoning assistance in the event of an emergency. It may be possible to purchase and install battery-based UPS units, and power both the PABX, LAN infrastructure and certain kinds of phone centrally so that operation is maintained. You should discuss this with your supplier if you require the ability to make and receive telephone calls in the event of power supply interruption. The VoIP Cortex, the LAN infrastructure, and VoIP phones themselves are complex and interdependent electronic systems. It is not therefore wise to assume they will provide the same level of availability as an analogue exchange line even if backup power arrangements are in place. 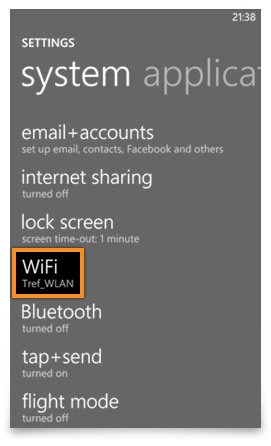 To connect to Wi-Fi, tap on Settings. Tap Wi-Fi and ensure that it is on. Tap on the name of the network you wish to connect to. 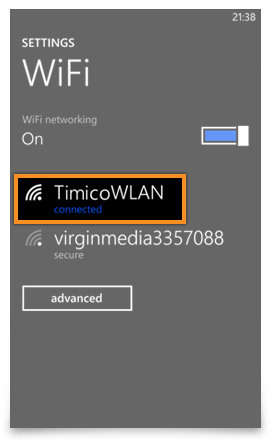 This is usually either Timico_WLAN or your company name. 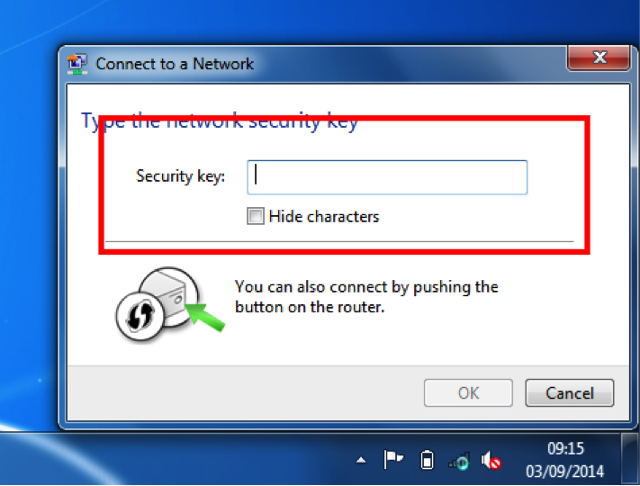 Enter the password to access the network. You’ll find this on the bottom of the router and on the card included in the router packaging. You are now connected to the wireless network. Note the tick next to the name of the wireless network you are connected to and the bars in the top left corner showing your Wi-Fi signal. Please click on the links below for instructions on connecting your device to Wi-Fi. Click on the settings icon on your main screen and choose Network Connections, ensure Flight Mode is off. 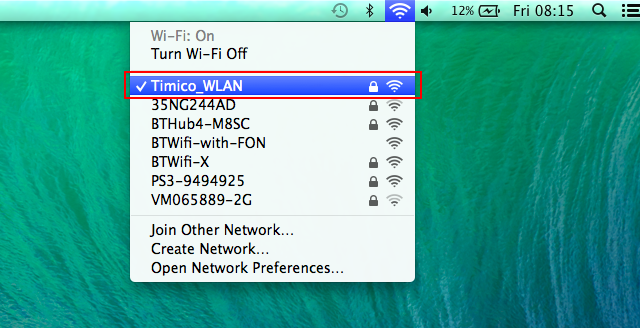 Choose Wi-Fi and your Timico wireless network should appear in the list of networks. 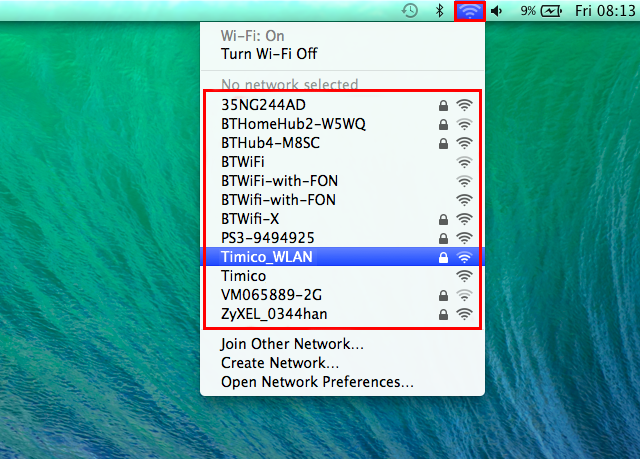 Find your router’s wireless name which will be on the card supplied with your Timico router, select it from the list. 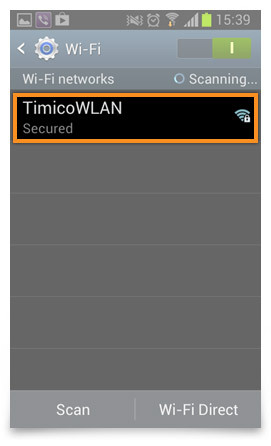 You will be prompted for your wireless password that can be found on the card supplied with of your Timico router. The password entered will be verified and, if entered correctly, you will be connected to the wireless network. Click on the wireless menu in the bottom right corner of the screen. Click on the name of the network you wish to connect to. 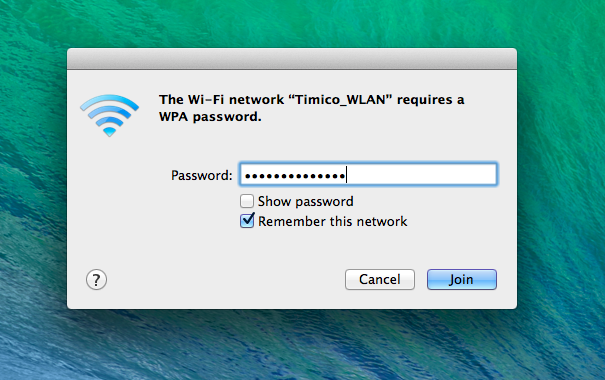 This is usually either Timico_WLAN or your company name. 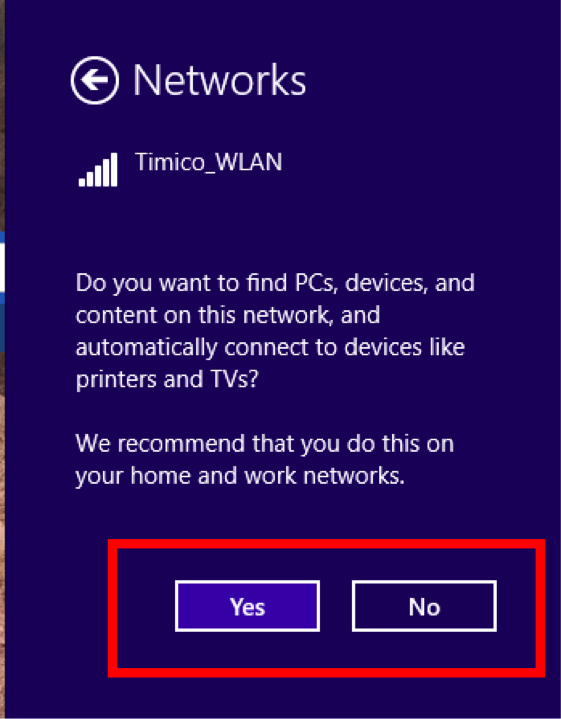 If you wish, choose to 'connect automatically' This will connect your computer to this network each time it is turned on. Enter your wireless password. You'll find this on the bottom of the router or the card supplied with your router. 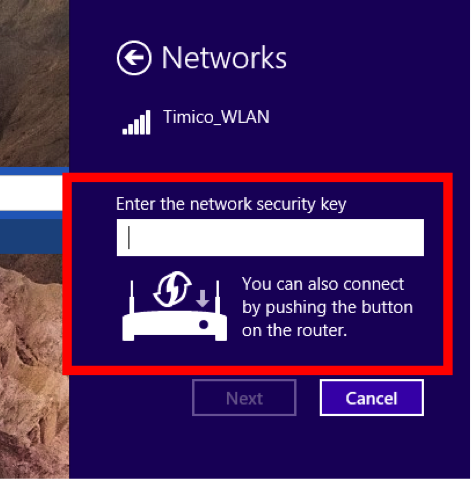 Your computer will now connect to the network if the wireless password is correct. You have now connected to the network, and the signal bars in the bottom right of the screen will confirm this. 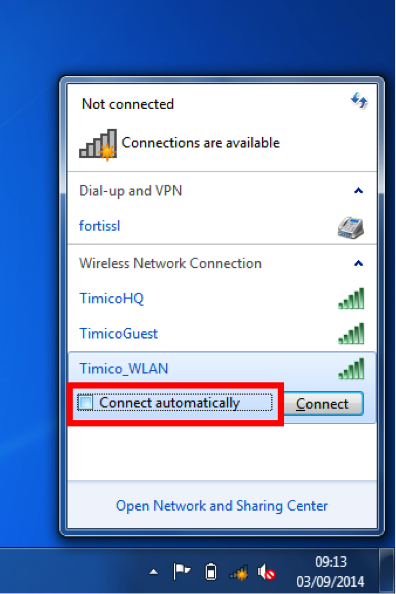 To connect to a wireless connection, click on the wireless signal icon, which will then show a drop down menu. Click on the name of the network you wish to connect to. 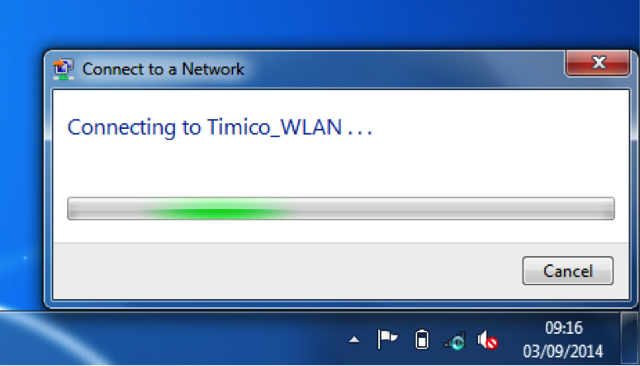 This is usually either Timico_WLAN or your company name. 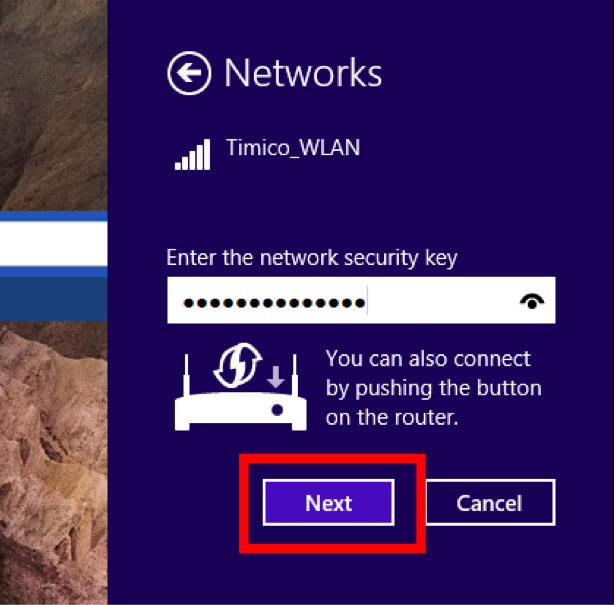 Enter the password to access the network. You'll find this on the bottom of the router and on the card included in the router packaging. You are now connected to the wireless network. Note the tick next to the name of the wireless network you are connected to and the wireless signal icon is no longer light grey. Choose whether or not you want your device to pick up other devices (TVs, printers, pcs, etc) and connect to them. You can now see if you have connected correctly either by opening the wireless tab, or checking the signal icon in the bottom right of the screen. How do I log into my Plesk Control Panel? Please visit the URL that you have been provided in the ‘Welcome to Timico’ template that you should have already received. Here you need to enter the username and password that you have been provided. How do I upload a website that I have already built? We recommend that if you have an existing website that you upload it to your server using FTP. You can change your username and password in the Panel at the Websites & Domains tab > Web Hosting Settings. The FTP address should be ftp://your-domain-name.com, where your-domain-name.com is your site's Internet address. Enable the passive mode if you are behind a firewall. 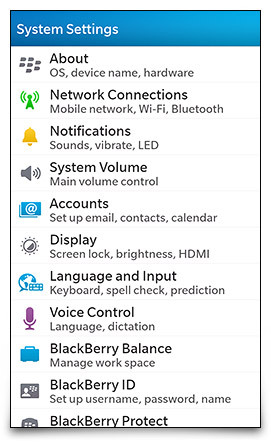 For more information, please use the ‘Plesk Control Panel User Guide’. How do I create a website using web presence builder? Firstly, please ensure that you have chosen to have web presence builder as part of your Total Hosting solution. If you would like to add the option, please contact us. How do I preview my site once I’ve uploaded it? If you are subscribed to several hosting packages and have access to several web spaces associated with your account, select the required web space in the Subscription menu at the top of the screen. In the list of domain names at the bottom of the screen, locate the website that you want to preview and click the corresponding icon. Note: For sites created with Web Presence Builder, protected access to site pages can work incorrectly in Preview mode. Sometimes, you may need to show your site to someone when your domain name is not registered yet. There are several ways to do it without giving a person access to your customer account. How do I set up an email account from my Plesk panel? Email access depends on the e-mail client that you are using. To see how you can access your e-mail using webmail, Microsoft Office Outlook or Apple mail, please use the 'Plesk Control Panel User Guide'. Who is my warranty with? Your iPhone or iPad warranty is provided directly by Apple. Should you have any issues with your iPhone or iPad you can contact Apple directly. Find out more about your Apple warranty. How do I avoid high data costs? How do I activate my new iPhone? To activate your new iPhone or iPad, follow the onscreen instructions. When you are presented with a list of WiFi networks select your network and enter the relevant password. You will now be able to activate your device over WiFi. 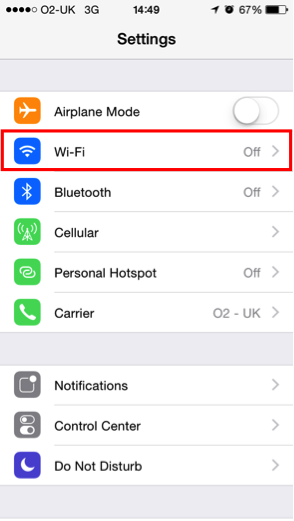 If you do not have access to WiFi then you will need to activate your iPhone or iPad via iTunes. If you don’t already have iTunes on your PC or Mac, you can download it from http://www.apple.com/uk/itunes/. Once you have downloaded iTunes simply connect your new device via the provided USB cable, this will open iTunes for you and guide you through the activation steps. Move the slider to the ‘ON’ position if it is not already there. Your device will search for available networks and show a list. 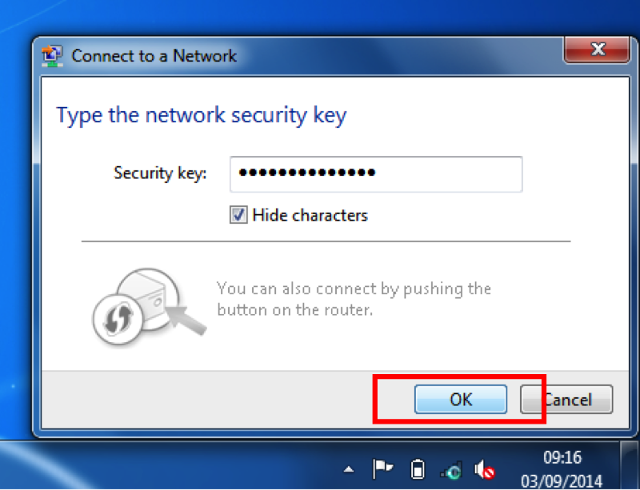 Select your network from the list and if prompted enter the network security key. 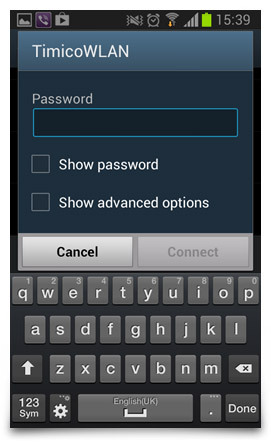 If you are connecting to a public hotspot you may not be asked to enter the security key at this stage. Instead once the network shows a tick next to it return to the home screen and open your browser (Safari) and browse to any page. You will now be prompted to enter the relevant information to join your required network. How do I tether my device? Personal Hotspot (also known as tethering) allows you to share your iPhone's internet connection with your computer. This is only available on certain tariffs and the options below will not be shown if your tariff is not compatible. NOTE. Using your device as a personal hotspot may rapidly increase your data usage. How do I know if my mobile handset is connected to my Boostbox? The signal strength indicator will be activated on your Boostbox. Why won’t my mobile connect to my Boostbox? To use the Boostbox, you must have a 3G enabled mobile handset. Please check that your mobile is able to use 3G first and that it is turned on in your mobile’s settings. Then check if your mobile number has been registered with your Boostbox. If you replace your SIM, you’ll need to register your mobile again with your Boostbox. What happens if I get a new mobile? You’ll need to make sure that your new mobile and SIM card are registered with your Boostbox. If you change your SIM, you’ll need to re-register your number with your Boostbox. What does it mean if the light keeps flashing on the Boostbox? It means that your Boostbox is having difficulty connecting to the Internet. Please make sure that the cables are all plugged in and you can connect to the Internet on other devices. Also, please try moving your Boostbox away from your router. What if my Boostbox is not working with my router? If your router has been replaced or turned off and on, you’ll also need to try moving your Boostbox away from your router. If your now unable to connect to Wi-Fi on your computer, please move your Boostbox further away from your router. Will my Boostbox still operate whilst uploading/downloading files from my PC? Yes, your Boostbox should be unaffected unless you’re moving large files over a slow connection which may use the majority of your bandwidth. What is the range on my Boostbox? Your Boostbox will have approximately the same coverage as your router. Can I add another mobile number to my Boostbox? Please email your request to your customer services team. Please provide the mobile number and the serial number of your O2 Boostbox. If my Boostbox is always turned on, how much power does it use? The Boostbox will use approximately the same power as your home Broadband router. How can you stop calls from people who have withheld their number? With Anonymous Call Rejection (ACR), you can stop calls from people who have withheld their number. Callers who have had their call rejected will hear an announcement stating: "The person you are calling is not accepting anonymous calls, please re-dial without withholding your number". How do you enable Call Barring? Call Barring allows you to bar incoming calls and prevent certain types of calls being made from your phone. * For customers on certain exchanges, this option will also bar premium rate services. How do I enable a Call Diversion? Call Diversion lets you divert calls to another phone number. So whether you’re out of the office or just away from your desk, Call Diversion means you don’t miss out on important calls. How do I divert my calls when I’m not in my office? Smart Divert gives you the ability to enable call diverts without having to be in the office. You can dial into the service from any other telephone. How do I use Call Minder on my line? Call Minder will answer your calls and record messages on no reply or if the line is engaged. You can also record your own message. You can store up to 30 messages of which the maximum message length can be 5 minutes. What is the differences between 1571 and Call Minder? Call Minder is a feature rich network based service as opposed to the basic voicemail facilty that 1571 provides. Call Waiting provides you with a stuttered dial tone letting you know when another caller is waiting to speak to you when you’re already on a call. You can choose whether or not to take the call. Call Waiting is not compatible with Ring Back. How do I block unwanted calls? Review the barred number list or delete numbers from it. You can check or edit your list at any time. Choose to Refuse will tell you the numbers and the date when you set up the bar on them. Change your PIN. Try to pick a PIN that is hard for someone to guess. We don't allow obvious PINs like 5678 and 2222. Callers who have had their call rejected will hear an announcement stating that their calls are not being accepted. How do I set up a Reminder Call on my phone? Your phone will ring at the same time you programme it to. Often used as a morning wake up call. Then enter the time that the call should occur followed by #. How do I set up a Ring Back facility on my phone? Instead of wasting time re-dialling an engaged number, the Ring Back service will call you when the party you are trying to contact is available. Simply dial 5 when you hear an engaged tone, wait for a confirmation message, then hang up. When your phone rings, pick it up and wait for the other person to answer. Ring Back is not available for calls to ISDN lines, international destinations and some multiline switchboards. Not compatible with Call Waiting. How do I get set up on a mobile handset or tablet? Open the wireless settings menu on your device and locate 'APN Settings' (the location and exact name will vary depending on your device). Now either overtype or create a new APN profile. Enter the details shown in your MAM setup email. Depending on your device, remember to save the changes. You can now test that your connection is working by ensuring that WiFi is switched off and then opening your web browser and browsing to any web page. How do I set up with a Router? Enter your router settings menu. Locate the settings for GPRS/3G profiles (this may vary depending on your router). Name your new connection (for your reference only) and enter your APN, username and password shown in your MAM setup email. 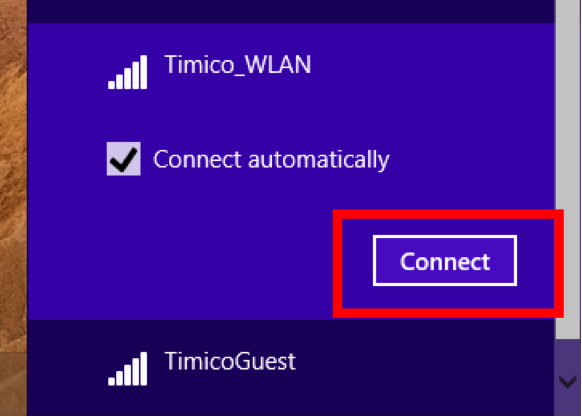 If your connection is to be used as a secondary connection for failover purposes please remember to also set this up in your settings (this may vary depending on your router). You can now test that your connection is working by returning to the main screen and selecting your new connection, then open your web browser and browse to any web page. What is the Timico APN? This would have been emailed to you originally, if you do not have this please contact your system administrator. System administrators should contact the Timico support desk. How do I set up with a USB Dongle? If you are using a new O2 USB Dongle insert the dongle into your machine and install the software (you will need admin rights to do this). If using another dongle please ensure the software is installed correctly. From the main menu select SETTINGS > INTERNET CONNECTIONS > NEW GPRS/3G PROFILE (this may vary if not using an O2 USB Dongle). Name your new connection (for your reference only) and enter your username and password shown in your MAM setup email. 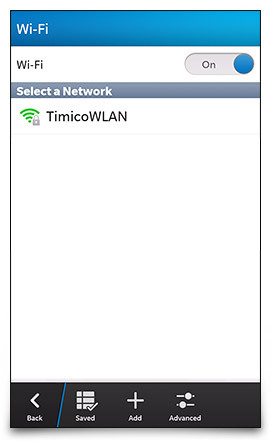 Now select the APN ADDRESS tab and enter apn.timico.net. Click OK to save the changes. You can now test that your connection is working by returning to the main screen and showing AVAILABLE NETWORKS and selecting your new connection, then open your web browser and browse to any web page. What is a Certificate Signing Request (CSR) and how do I raise one? A Certificate Signing Request (CSR) is a text file that is required to order an SSL certificate for your server. If Timico are not hosting your server or the server is un-managed, you will have received a request for the CSR. If you are unsure how to raise a CSR, this helpful guide from Symantec will help. Simply click on the hosting service that you are using and follow the instructions. If you have your web hosting with another provider, you can contact them and request the CSR. What is the Domain Control Validation (DCV) process? The Domain Control Validation (DCV) process differs depending on the type of SSL certificate you have purchased. Please see the below for more details. An email will be sent to the administrative contact for your domain. Please follow the instructions to complete the validation. In addition to the DCV email approval, the Certificate Authority will also verify your identity and address by checking government databases, WHOIS verification will take place and a telephone call will be made to the telephone number listed against the domain name in WHOIS. In addition to the DCV email, the Certificate Authority will verify your legal existence, trade name, operational existence, physical address, WHOIS verification and a telephone call will be made to the telephone number listed against the domain name in WHOIS. You may also be asked to verify your name, title, authority and signature and agree to the Certificate Authorities Terms & Conditions. If the details listed against your domain on WHOIS are out of date, you will need to change them with your domain supplier. If your domain is registered by Timico, please send a request to your customer services team. What happens once my order has been validated? Once your order has been validated, you will receive your certificate via email. It will be sent to the administrative contact for your domain. If you are installing your own SSL certificate, please follow this helpful guide from Symantec to assist you. If your server is managed by Timico, please contact Timico support and they will install the certificate for you. Your username and password is needed for both incoming and outgoing settings. At Timico our monthly bill run will commence on the 1st of the month where upon completion the invoice will be sent to you either by post or by email. All our invoices list the breakdown of your services excluding VAT, where the VAT is calculated and added onto the charges at the end of the invoice summary. A breakdown will be listed on your invoice to show the services that you have with ourselves, the amount billed and the period that this is for. All line rental charges will be listed or the month ahead and are therefore billed for in advance, whereas all usage and call charges will be listed for the month prior and are therefore billed in arrears. For example: The 1st of November invoice will list line rental for the month of November but call charges made during the month of October. If you have several services and would like these to be listed separately on your invoice, it is possible to insert cost centres and usernames, please see the frequently asked questions below. Please note that administration charges will apply if you do not receive your invoice by email or if you do not settle your invoice by direct debit. If you have any questions in relation to your invoice where you cannot see the answer in the frequently asked questions below, please do not hesitate to contactyour customer services team. If you have a larger invoice with several services or if you have several sites that are billing on one account, Timico can arrange for your invoice to have cost centres and usernames added to split the services into segments to make this easier to read and understand. If you have received a bill that is higher than expected, this could be due to any of the reasons listed below. Each has been discussed in the below frequently asked questions list, however if you cannot find the answer that you are looking for, please do not hesitate to contact your customer services team. If you are a new customer or if you have brought on services that have been implemented mid-month then our system will pro-rata the line rental accordingly. This may mean that you have a slightly higher first invoice for the line rental, where this will be normal on your next monthly bill. It is possible for some services to be set to bill annually or quarterly rather than the standard monthly frequency. As a result these can be forgotten about and cause the bill to increase when they do come to their billing term. All details of these services will be listed in the bill summary. Why are my call charges higher this month? If your call charges have increased, it may be that you are exceeding the terms of your current package so it is no longer suitable for your needs. We do have additional call bundles that we can add to your current package if appropriate to potentially bring the call costs down. If you are making international calls or calls to premium rate numbers, these would not be included in your package and would cause the call charges to increase. All call data is available for you to view on your customer portal for you to view and monitor should you wish to do so. This can be exported into an Excel file if required. If you would like to discuss your call charges and review your package at any time, please contact your customer services team. Why has my broadband usage gone up this month? Your broadband allowance will be made up of a combination of uploaded and downloaded data within the monthly period. This allowance will re-set at midnight on the final date of the month. Anything that is done on the Internet will contribute to your monthly data usage. 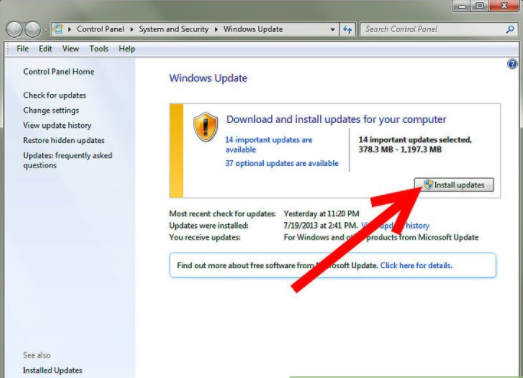 This will include anything from clicking on a webpage to watching a film or downloading Windows updates. Change in the manner that the internet is used; such as increasing the amount of uploads and downloads passing over the line. Purchase of equipment that will connect to the wi-fi; such as tablets, mobile phones, smart TV’s. Children returning home in the holidays and using the internet more often. Purchase of streaming services such as Netflix and Love Film where larger data files are downloaded over your line. Watching television online via your computer or tablets; such as BBC iPlayer. Performing back-ups of files using an online back-up service. Please note that on rare occasions an increase in usage may be as a result of a virus on your device or as a result of someone accessing your wireless without your permission. In these instances it would be recommended to run an anti-virus scan and to revisit your wireless security. Please note that Timico are not able to see what has been used to contribute towards your higher usage, we are only able to see the amount of data that has passed over your line that day. You are able to view and monitor this as well via MyTimico if required. All landline tariffs will include free calls to specified numbers, provided that the call duration is less than 60 minutes. The Anytime call plans will include calls any time of the day provided that less than 3000 minutes of call time are used within the month. The Evening and Weekend call plans will include calls between the hours of 7pm to 7am and calls all day on Saturday and Sunday, provided that less than 2000 minutes of call time are used within the month. The Mobile 1500 call plan will include all calls to mobiles at any time of the day provided that less than 1500 minutes of call time are used within the month. The standard tariffs will not have any inclusive minutes assigned, where calls to all numbers will be chargeable. The Anytime call plans will include calls any time of the day provided that less than 3000 minutes of call time to landline and less than 300 minutes of call time to mobiles are used within the month. Please note that our unlimited broadband package has a fair usage policy of 500GB of total data transfer per month. Any other broadband package will specify the monthly allowance. Please note that any usage in excess of your tariff or fair usage policy with be chargeable at the standard rate. If you have had a fault on your line recently and have received an engineer visit then there is the potential for a charge to be pulled through, depending on the outcome of the visit. Timico currently charge a £4.95 + VAT administration fee if you chose to settle your invoice by BACS, credit card or by cheque. The administration charges can be removed from your account by setting up a Direct Debit payment. If you would like to do this please contact your customer services team who can provide you with the relevant Direct Debit mandate form. Timico currently charge £9.95 (ex VAT) for sending out paper invoices. You can avoid this charge by opting to receive your bill electronically which is a fast, secure and convenient way to receive and check your invoice. You will receive an email alert as soon as your bill is available - this can be sent to multiple email addresses if required. To cancel paper billing please contact your customer services team. To set up your MyTimico account, please visit my.timico.co.uk. If you have placed an order with Timico that requires equipment, it is possible that the application of these charges can cause your invoice to be significantly higher when they pull through. These are usually one-off charges and will not re-populate on your next invoice. As part of the diagnosis of technical issues, the technical team may arrange for a test router to be sent to you. This will always be chargeable at the standard router cost and standard delivery. Should this not be required, it can be returned to our freepost address and the cost of the router can then be refunded. If you have transferred you a new line into Timico from another provider, it is possible that these services were already on your line before the line came across to us. The majority of the select services are chargeable and therefore are likely to appear on your invoice. Timico will not be aware of these services on your line until the order has completed with us. At which point we will endeavour to contact you. If you would like to cancel these at any point, please contact your customer services team. How will my credit note affect my account balance? If you have received a credit note through the post, the amount listed will be allocated against your account as a credit balance to be used against any future invoice payments. If you have left Timico and have an outstanding credit balance, you can request for this to be refunded either by cheque or by BACS by contacting your customer services team. Please note that should a credit note be raised to clear an account balance and not against a paid invoice then no refund would be due. If you are missing a copy of an invoice or credit note you can access these on MyTimico. If you pay by Direct Debit, the amount outstanding each month and the date on which it will be collected will be printed on your invoice. If you have selected to pay by BACS, please remit funds to Santander, account number 01108859, sort code 09-07-20, including reference to your Timico account number and invoice number. Please ensure that the funds reach us by the due date printed on your invoice. If you settle your account by cheque, please make your cheque payable to Timico Limited and write your Timico account number and relevant invoice number on the reverse. Please send your cheque with remittance advice to Timico Limited, Beacon Hill Park, Newark, Nottinghamshire, NG24 2TN to reach us by the due date shown on your invoice. To switch to Direct Debit, simply complete and return the Direct Debit form included with your invoice. How can I tell how much a phone call will cost? We publish our standard charges for most of our telephony tariffs on our website. If you have a number (particularly an unusual or special number) and you want to see what it will cost you can use the CodeLook site which will tell you who owns the number and what class of number it is. You can then check that class of number against our telephony tariffs on our website. If you still aren't sure then please contact Customer Services. Why have I been charged so much for mobile calls? Confusingly not all numbers beginning with 07 are actually to mobile phones. Some services including personal numbers and WiFi access numbers can start 070 or 0745. These sometimes cost more than £1 per minute to call! If you have a number (particularly an unusual or special number) and you want to see what it will cost you can use the CodeLook site which will tell you who owns the number and what class of number it is. You can then check that class of number against our telephony tariffs on our website. If you still aren't sure then please contact Customer Services. Why have I been asked to verify my email address? Domain owners may occasionally receive an email asking them to verify their email address. This is an ICANN (Internet Corporation for Assigned Names and Numbers) policy, and it requires us to suspend any domains that aren't verified within 15 days. Timico use Ascio as a domain supplier, and so the email you receive will be sent from registrantverification@ascio.com and will contain a link to registrant-verification.com. Please be assured that this email is genuine and you do need to click the link within 15 days or your domain will be suspended. After the initial email you will receive two further reminders a week apart until the email address has been verified. If you would like to make a complaint you can find the complaints policy by following the below link. This document will detail the complaints process for you. Should you have any questions in relation to this, please contact your customer services team. You can find a copy of the most recent terms and conditions by using the below link. Please note that Timico reserve the right to update these terms and conditions at any time, this will then supersede any previous versions. In the event of a transfer of ownership, change in company circumstance, change to/from a Limited status etc., you will need to contact your customer services team to make the necessary amendments to your Timico account. In the event of a new company taking on your services or a company employee wanting to retain the services when they leave the company and so on, a transfer of ownership will need to be carried out. Timico will require a confirmation of acceptance from the current account holder to state that they are happy to allow the services to leave. In addition, Timico will require the new owner to fill in a customer agreement to confirm that they accept taking on the services and agree to the terms and conditions. A direct debit mandate will also be required for credit checking purposes. Please contact customer services to arrange for this paperwork to be submitted and for the transfer to be actioned. Any change to the circumstance of your company will need to be communicated to Timico customer services team and your account details updated accordingly; for example a change to a Limited status, an incorporation of two companies leading to a name change, a change of company registration number. Each instance will be assessed individually by our credit control team and any account amendments arranged following the submission of appropriate paperwork upon request. Should you have a new member of staff that you need to give access to your Timico account or should you have a member of staff that has left the company that you need to remove, all Timico will require is written confirmation from an authorised contact on the account to request these changes. This can be sent over to your customer services team who will carry out the necessary changes. If you have services with Timico that are not location specific such as mobile, hosted or VoIP services, all you will need to do is contact your customer services team to advise of your new address and contact details so that your account can be updated accordingly. If you have services that are location specific such as landlines and broadband related products, you will need to arrange with ourselves for these to be moved to your new address. If you need a copy of an invoice, this can be retrieved by logging into MyTimico and selecting the view bill options. If you need to update your contact details, please contact your customer services team with your amended details and they will update your account accordingly. This is an additional security measure that can be set up on your account to help us confirm your identity prior to assisting with your enquiry. This can be set up at any time by the main contact on the account where the security question can be provided by yourselves to make this even more personal to you. To add or amend and existing security question please contact your customer services team. In the event that the account holder has been married or divorced and the account name needs to be changed, please contact your customer services team and they will liaise with you to make any necessary changes. In the event of situations beyond control (for example liquidation, administration or death) please arrange for your customer services team to be made aware of the change in circumstance and they will arrange for any necessary amendments to be made to the account. All cancellation requests will be required in writing in the form of an email, fax or a letter. This will need to come from the main account holder. Upon receipt of your request any termination fees will be calculated and a 30 day notice period will be taken. In June 2015 Ofcom introduced a new process for transferring broadband services between providers using the Openreach network. The transfer process is customer led and requires you to contact your new provider. Timico will be notified of your transfer request and we will contact you confirm the transfer. Your service will be subject to a notice period and cancellation fees as stipulated in your Contractual Documentation. You should still notify Timico of your intentions to transfer away so we can manage your transfer to help it run as smoothly as possible. To stop the transfer, you will need to contact your new provider to request the change. Timico cannot intercept a transfer request except in the event of malicious or fraudulent activity. If you are switching between different networks, for example a provider using the Openreach network and a provider using a cable network, then a direct transfer is not possible. Instead you will need to arrange a ‘cease and re-provide’ where your new provider will install a new service; Timico will cancel your current service. In this instance, you must request a full cease of your service with Timico. Please refer to our cancellation policy for further detail https://www.timico.com/terms-policies/. Do you have additional services included with your broadband which could be lost? Timico emails - If you have a keme.co.uk, intamail.co.uk, timicomail.co.uk, twang.co.uk or atlas.co.uk email address, this will be cancelled on the date of transfer unless you contact us. Can Timico offer you a better deal? We update our packages regularly and run regular promotional offers. Contact us to see what we can offer you. How long will the new broadband transfer process take? Typically the transfer will take 10 working days from the date the transfer order was submitted by your new provider. Please get in touch urgently if you change your mind about transferring your broadband service(s) away because you will have a limited time to respond to the email before the transfer goes ahead. The sooner you act, the easier it is to change things. If you decide you would like to stay with Timico, you will need to ask your gaining provider to stop the transfer. According to Ofcom regulations, Timico are only able to prevent this transfer if your gaining provider is refusing to action this for you. Once the transfer has been stopped, your services will continue to bill with Timico as normal. Please note that the closer the transfer date, the higher the chance of the transfer still going through. What happens if I didn’t request this transfer? Please get in touch urgently if you receive an email from us regarding the transfer of your broadband service that you did not request. The sooner you act, the easier it is to change things. We will need confirmation from the main account holder to note that a transfer request was never requested and that they would like the broadband service to remain with Timico. Once this has been received, Timico are able to cancel the transfer request for you. Once your number has left Timico successfully, any remaining termination charges and applicable administration or disconnection charges will be applied to your account and will appear on your next monthly bill. This will then become immediately due and payable in line with your payment terms, and so please make sure that any direct debit details are not cancelled until your account has been cleared. Why am I being charged termination fees? If you are in contract, and you decide to cancel your service with Timico, please be aware that termination charges for the remainder of your contract term plus any applicable standard disconnection charges will be applicable. Your contract term will be outlined on your order detail paperwork along with a link to our terms and conditions and standard charges documentation. Why is there a disconnection charge? Timico charge a £40 + VAT administration fee for the discontinuation of your services with ourselves. This is outlined in both our terms and conditions and our standard charges documents. Confirmation of when your current services are to be disconnected, for example do you require an overlay period or can these be ceased when the new services go live? If the fixed line and broadband are required to be moved, this will be arranged by ourselves however should either of these services be with another provider then these will need to be arranged independently and may impact the move of the Timico service. 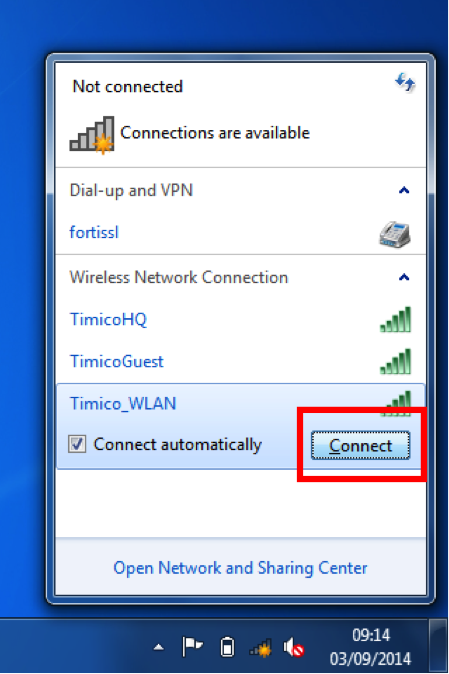 Should your landline reside with another provider, a simultaneous reference number will be required to be submitted to Timico at least 5 working days prior to activation to ensure that the broadband service is connected simultaneously to the landline, thus preventing you from experiencing any downtime. The majority of services will incur charges when moved to another address. Please contact your customer services team for clarification of these charges. The standard connection time for a landline move is approximately 11 working days although this can vary dependant on your location. The standard connection time for a broadband move is approximately 5 working days after the connection of your landline, although a simultaneous reference number can be provided. There is the option to expedite the broadband connection (only), however this will involve a charge of £150 + VAT in addition to the connection charge above and is not a guaranteed service. The expedite can reduce the 5 working day connection time down to 48 working hours. Please note that if you do have hosted VoIP services and are moving, these details will need to be updated for the Emergency Services in the instance that you will need to dial 999. Can I keep my number if I move house? It depends on where you’re moving to as telephone numbers are location specific. If you are moving outside of your local exchange area then it will not be possible to retain your number at your new address. Most often it is not possible to move a number from one exchange to another, even though it is in the same area. Generally it is possible to retain the same number if you are move to a new site within your local exchange area. If you have any question in relation to this, please contact your customer service team. I am exceeding my broadband usage, what can I do? Within your Timico contract you will have been placed on a specific broadband package which will allow you to upload and download this amount of data over your broadband line every month. Should you feel that you are likely to increase your usage or if you have noticed that you are being charged for usage on your monthly bills, you might wish to discuss a re-grade of your monthly tariff. If you are out of contract your dedicated sales executive will take the time to review your account and recommend the best possible package to suit your needs. If you are in contract the customer services team will be more than happy to up-grade your services from the beginning of the next calendar month within your current contractual terms. At any point your usage will be available to view and monitor on MyTimico. Can I upgrade my broadband tariff whilst in my current contract? If you are looking to increase the amount of data that you currently use or would like to upgrade your broadband limits we can arrange this for you. To help you decide which package may be best for you, all your broadband usage is available to view and monitor on MyTImico. Your customer services team will be more than happy to advise of the most suitable package and to assist with the re-grade your services. This would take place from the beginning of the next calendar month within your current contractual terms. I would like to cancel my contract, how do I proceed? How do I request to cancel my services? If your request is missing any of the above information, it could delay the processing of your request. If you are transferring your service to another provider, please make this clear in your request. Our team will email you to confirm receipt of your cancellation request. If we need to clarify any details, we may call you before we do this. If you are transferring to another provider, we will provide you with the relevant authorisation codes at this point. You must retain our email confirmation as a record of your cancellation request as this may be required as evidence of cancellation at a future date. If you do not receive our email confirmation then your cancellation may not have been received and may not be processed, you must get in contact with your customer service team via the usual contact routes. Details of our cancellation policy and charges can be found here: https://www.timico.com/terms-policies.If you would like to cancel a service with Timico, please ask an authorised representative to get in touch with our customer service team on 0844 4 889 889 Option 2 or by emailing cancellation@timico.co.uk. Upon receipt of your request, an advisor will contact you to confirm the details of the decommission; including the timescales of your requirement and to clarify your site contact information. At this point, any contractual obligations, notice periods, termination fees and disconnection fees will be communicated. Reference to any potential charges can be found in our Timico Terms and Conditions and our Standard Charges documents which are available here: https://www.timico.com/terms-policies. If your preference is to transfer your service to another provider, please make this clear to the advisor and we will provide you with the necessary authorisation codes and advice on how best to move your service away. Can I upgrade my mobile phone? If you are out of contract or nearing the end of your contract, it is possible to request to speak to your sales executive who can conduct a full account review; where new handsets may be allocated as part of your new deal. If you are still in contract it is possible to upgrade your handset; however you will need to pay for the phone itself, the charge for which will be added to your next monthly invoice. If your company was allocated a hardware fund at point of sale, it is possible to use these monies towards the partial or full cost of a handset. I am going abroad, will my mobile work? If you are going abroad, there are a few simple checks that you will need to do to ensure that your phone will be working while you are abroad. Contact your customer services team to ensure that there are no international bars on your number that would otherwise prevent you from making/receiving calls and from using data. Ensure that your voicemail service has been set up prior to leaving the UK to enable you to access your messages. If this is not done then your messages will not be accessible whilst connected to the foreign network but will be available upon your return. Dial 1780 to obtain your personal voicemail retrieval number to access your messages whilst abroad. To listen to your messages when you are away, call your voicemail retrieval number followed by * and follow the prompts. On Vodafone preferred networks abroad you can dial 121 to access your voicemail in exactly the same way that you do at home. Alternatively you will need to call +447836121121 and use a PIN code to access your voicemail. To set up your PIN before you leave the UK, dial 121, press 4 for mailbox settings and then 2 for mailbox security and follow the instructions. Be aware of the EU data roaming legislation where the networks are required to place a data bar on your number should this reach the limit. Should you wish to opt-out of this barring process or if you require any further information, please contact your customer services team. Speak to your customer services team to find out whether there is a tariff available that can be added to your number to reduce the charges that you might incur whilst using your phone abroad. Please note that additional international options are not available for all tariffs. Check that you phone is compatible with the foreign networks in the country that you are visiting. The majority of handsets will be compatible however there are some occasions, especially outside of the EU where compatibility issues can occur. Check which networks are the best for you to connect to whilst abroad as some UK networks have partnerships with international networks and will be able to recommend the best one to connect to, providing the best 3G and network coverage. What Can I Use My Technology Fund For? Depending on the type of deal that you have taken out with Timico, you may be entitled to a technology fund. This is essentially an allowance that can be used to purchase any mobiles, hardware or accessories at any time during the life of your current contract. The technology fund cannot be used to pay off any termination fees on the account, this is a fund set aside for hardware only. At the end of the contractual term the technology fund will expire. The monies in this fund are non-refundable; this is an allowance allocated to purchasing hardware and is not a cash-back offer. Check the coverage in your area by using the below coverage checker for you selected network. This will provide information relating to outdoor and indoor coverage and give you an idea of the 3G availability as well. You can perform a hard reset by removing the back cover, taking the battery and the SIM out of the device, putting the battery back into the phone and turning it on without the SIM in it. Turn it off again, take the battery out. Give the SIM a wipe with a dry static free cloth and put everything back together. Turn the handset on again and see whether the issue is still present. Within the network settings on the device, manually select the network that you would like to connect to. This can sometimes force the SIM to connect to this particular network. If you are abroad, it could be that the network your phone has defaulted to is experiencing troubles. Try selecting an alternative network to see whether the issue is still present. If the issue still persists, it could be that either you SIM card or your device is faulty. The best means to check which may be at fault is to try a known working SIM card in your phone and your SIM card in a known working device and see whether the issue still persists in either case. This will allow us to isolate the issue as being SIM card or device related. Should you establish that one or the other is faulty, contact your customer services team to arrange the relevant replacements for you. Please see the Faulty Mobile Handset and Mobile Phone Warranties Question for any further information. If you have a faulty handset and this is currently under warranty, Timico can arrange for a replacement handset to be sent to you. Depending on the type of phone that you own, Timico will either arrange a collection on delivery of a like for like replacement handset or will undergo a repair and loan process where a loan phone is sent to yourself whilst your handset is being repaired. All handsets other than Apple devices are provided with a standard 12 month warranty. This is however extended to the life of your contract provided that the handset is purchased within the current contractual period. Timico warranty will include any manufacturer warranty only and will not cover the handset for physical damage, water damage, loss, theft or anything that is deemed to be ‘beyond economical repair’ (BER). In this instance you will be informed of the relevant charges and asked whether you would like to proceed with the replacement. Are there any outstanding updates? Once the customer services team has this information they can confirm that the handset is covered under warranty and arrange the necessary replacement. If you phone has been lost or stolen, it is important that you contact the customer services team as soon as possible so that the device can be barred to prevent high call charges. Your customer services team can arrange for any replacement SIM cards and handsets to be ordered. Please note that this will not be covered under warranty and therefore any additional hardware will be chargeable. If your service is business critical, Timico do provide the option to purchase additional care packages on your landline or broadband service to promote a faster fault resolution time. These care packages relate to the amount of time that our partners will work towards when a fault is reported to them via our technical team. This will not include the diagnostic time undertaken by our technical department, nor will it include the time elapsed while an engineer is booked to attend site. Service Level 1 (Standard Care): Our partner will aim to clear the fault by the end of the working day after next, Monday to Friday only (Excluding public and bank holidays). Service Level 2: Our partner will aim to clear the fault by the end of the next working day, Monday to Saturday only (Excluding public and bank holidays). Service Level 3: Our partner will aim to clear the fault by the end of the next half working day. Service Level 4: Our partner will aim to clear the fault within 6 hours. This is available 24/7. Maintenance Class 5 (Standard care): In the event of a fault, the standard target time to repair a fault will be 48 working hours. Maintenance Class 4 (Enhanced care): In the event of a fault, the target time to repair a fault will be 24 hours. This is applicable 24/7. Maintenance Class 14 (Enhanced care): In the event of a fault, the target time to repair a fault will be 8 hours, excluding applicable parked time. This is applicable 24/7. Further information on the terms of these packages can be found in our standard terms and conditions. If you would like to add a package to your service, please contact your customer services team. The order will take one week to fully complete with our partner. If you are having broadband issues, there are a few initial diagnostics that you can do to speed up the resolution time before calling our technical support team. Check your telephone line to ensure this has a dial tone and no noise. If there is no dial tone or this is noisy the fault, please follow the tests on my phone line is not working as your broadband needs a fault free telephone line. Reboot you router, leaving the power off for at least 15 seconds, to see if the connection restores itself. Plug your router, with the micro filter, into the BT master socket and disconnect any other extensions, including another telephone; a fax machine; alarm; or digital TV decoder, to see if the issue is still the same. If you are using wireless or have a separate data switch, see if the issue is the same using a wired connection directly connected to the router. If any of the above issues do not resolve the problem, please contact your technical support team and advise them of the stages that you have taken to initially diagnose the issue. If you are having phone issues, there are a few initial diagnostics that you can do to speed up the resolution time before calling our technical support team. Connect your telephone to the BT master socket with all other devices unplugged. This includes your broadband and micro filter; a fax machine; alarm; or digital TV decoder. If you have spare telephone (preferably a wired, non-cordless one) , try this to see if the issue is still present. If the issue is intermittent collect details of at least 5 calls including, date; time; and other telephone number. If any of the above steps do not resolve the problem, please contact your technical support team and advise them of the steps that you have taken to initially diagnose the issue. UK Calling is the strapline for new Ofcom regulations which aim to make the cost of calling service numbers clearer. Companies must clearly display the service charge for their advertised phone numbers, so you will see something like "Calls to this number cost 20p per minute plus your phone company's access charge." How is the cost of a call to 084, 087, 09 and 118 numbers calculated? Let's say the service charge for a particular number you want to call is 20p per minute. In that case, you would see information like this displayed by the company you are calling: "Calls cost 20p per minute plus your phone company's access charge." In this particular example, the cost of the call would be 30p per minute (the 20p per minute service charge, plus the 10p per minute access charge). How do I know what the access charge is for a number? The access charge is available from your telephone line provider. If Timico provide your telephone line, you can view our access charges here. Ofcom have set up a website, www.ukcalling.info with additional information. Does my business need to do anything? You do if your customers contact you using freephone numbers (numbers beginning with 0800 or 0808) and/or numbers beginning 084, 087, 09 and 118. If you would prefer to replace your 0800 or 0808 numbers, please see the question below entitled "What are the alternatives number options?" Determine the service charge associated with these numbers. For instructions on how to do this, please see the question below "How do I know what service charge to publish?" Decide if you are keeping this number and if you don’t want to, organise replacement numbers. Please see the question below entitled "What are the alternatives number options?" If you do want to keep it, clearly display something like the following message wherever they are advertised: "Calls to this number cost XXp per minute plus your phone company's access charge." What happens if I don't publish this information? PhonepayPlus and the Advertising Standards Authority will be responsible for enforcing the requirements for including service charge information in advertising. More information about their penalties for non-compliance is available on their websites (and the website of the ASA’s sister body the Committee of Advertising Practice – www.cap.org.uk). Broadcasters must abide by Ofcom's Broadcasting Code, or face potential penalties. How do I know what service charge to publish? How do I use the Ofcom spreadsheet to work out the service charge? Column F PPC+PPM (from start of call) – calls to these numbers are charged both a fixed pence per call fee and a pence per minute charge. In these cases, both charges apply from the start of the call for the whole duration. Follow these tips to navigate your way around the Ofcom spreadsheet and work out the Service Charge associated with your number(s). The Ofcom document is a Microsoft Excel spreadsheet, therefore you can use the Microsoft ‘Find’ shortcut to help you search for your telephone number. How do I know what my customers' access charge is for a number? The access charge is available from their telephone line provider and will vary. You can view Timico's access charges here. I’m not happy with Service Charge, the cost looks too high? It is not possible to change the Service Charge. The Service Charges have been applied by the Communications Provider who owns the whole range, and have to be consistent across the whole 10k number block. If you are no longer happy with the cost to call your number, you could look at alternative number options. What are the alternative number options? 03 numbers are becoming the best option if a business wants to advertise a non-geographic telephone number. 03 numbers are a “friendly” number for people call as they are often included in inclusive minute bundles, otherwise they are charged at the same rate as a local call. There are no regulations surrounding the advertisement of 03 numbers. Please contact us on service@timico.co.uk or 0844 488 9889 to discuss your options further. ...will I have to disclose how much I receive from each call? No, however, you will have to disclose the service charge for the call. The service charge is the sum of all revenue from the call which is not retained by the caller’s telephone company. The service charge will be the same from all telephones, and the level will usually be set for a given block of numbers allocated by Ofcom (usually these are in blocks of 10,000 numbers). Ofcom have set up a website, www.ukcalling.info, with additional information. You can also track the amount of broadband you are using on the MyTimico customer portal. Why does it cost more to use my mobile when abroad? When you are using your mobile phone abroad (roaming), your UK network has to pay a foreign mobile network to direct your calls to your mobile phone. The charges are passed onto you and will vary depending on which country you are roaming in, which mobile network you use and your mobile tariff. Data usage is the most expensive and this will rack up if you use your phone to surf the internet, download music or send emails. How can I avoid charges? Leave your phone at home! It may sound an old fashioned idea, but why not switch off for a week or two and have a good catch up when you get back? Make sure that all applications are closed and your phone is switched off before getting onto the plane. When you arrive at your international destination, check out a free WiFi service and connect to that for emails and internet access. It is free to receive a text anywhere in the world! If you are abroad and a family member or friend need to contact you urgently, why not get them to send you a text with their home phone or work telephone number and time they will be home, you can then make a cheaper call from a phone box or hotel phone. If you want to use a mobile phone to make calls to others within the same country, get a local sim whilst you are there. If you do need to use your phone, contact your provider a couple of weeks before you go to ensure that you are on the best tariff for your requirements. What should I ask my mobile provider before I go? What are the charges for mobile usage in the country you are visiting? Does your phone need to be activated for use abroad? Do you need to set up a new access code for your voicemail? For a daily charge, whilst travelling abroad, charged only on days you actually use your device, our daily roaming packages will cover all of your calls (inbound and outbound) and texts, without the worry of an expensive bill upon your return. Depending on which tariff you are on, data roaming packages are also available on both O2 and Vodafone. Contact your customer service team to discuss how best to keep your international usage charges in check. Select Reply with message in the filter actions and enter your out of office message in the Message body text box; an example is below.